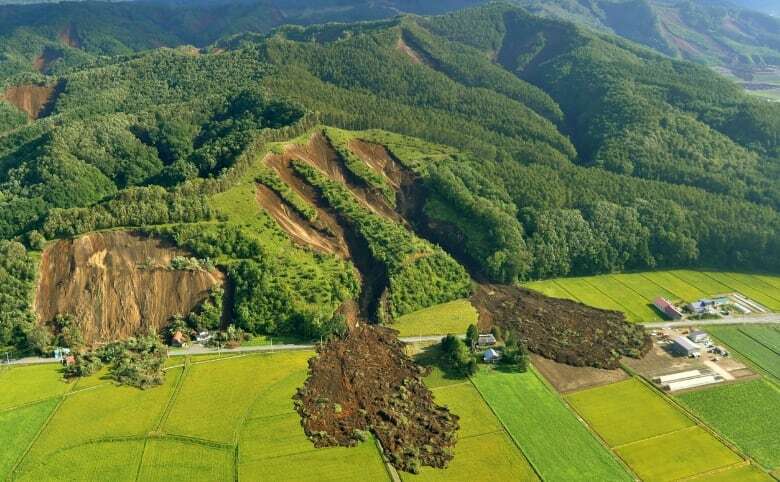 A powerful earthquake Thursday on Japan's northernmost main island of Hokkaido triggered dozens of landslides that crushed houses under torrents of dirt, rocks and timber, prompting frantic efforts to unearth any survivors. Nearly three million households were left without power by the quake — the latest in an exhausting run of natural disasters for Japan. 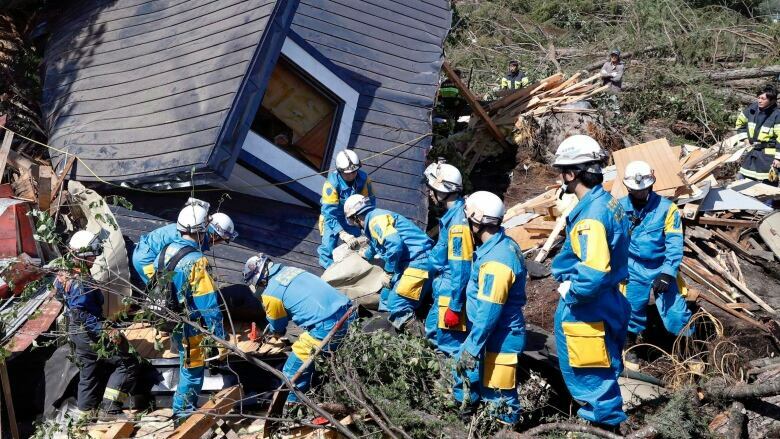 In the town of Atsuma, where entire hillsides collapsed, rescuers used small backhoes and shovels to search for survivors under the tonnes of earth that tumbled down steep mountainsides, burying houses and farm buildings below. The area's deep green hills were marred by reddish-brown gashes where the soil tore loose under the violent tremors. The island's only nuclear power plant, which was offline for routine safety checks, switched to a backup generator to keep its spent fuel cool and nuclear regulators said there was no sign of abnormal radiation — a concern after a massive quake and tsunami in March 2011 that hit northeast Japan destroyed both external and backup power to the Fukushima Daiichi nuclear plant, causing meltdowns. 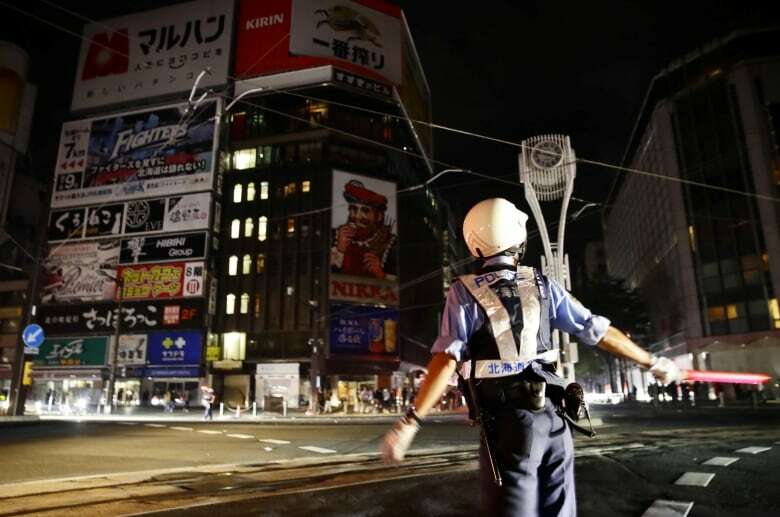 Japan's Meteorological Agency said the quake's epicentre was 40 kilometres deep. But it still wreaked havoc across much of the sparsely inhabited island. Japan is used to dealing with disasters, but the last few months have brought a string of calamities. The quake came on the heels of a typhoon that lifted heavy trucks off their wheels and triggered heavy flooding in western Japan, leaving the main airport near Osaka and Kobe closed after a tanker rammed a bridge connecting the facility to the mainland. The summer also brought devastating floods from torrential rains in Hiroshima and deadly hot temperatures across the country. 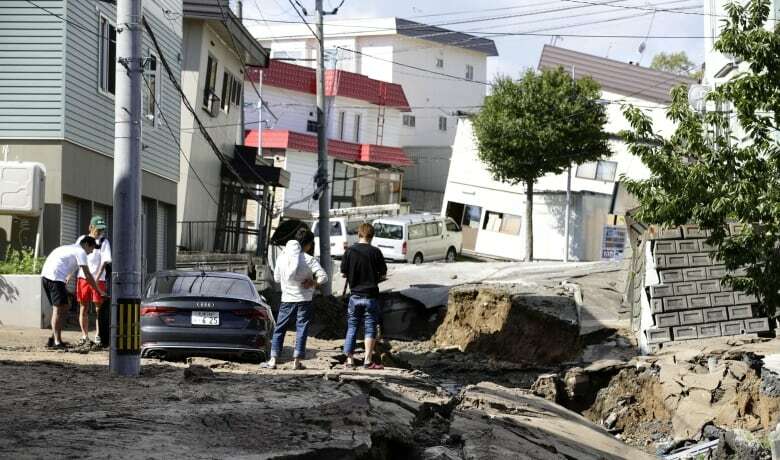 In the prefectural capital of Sapporo, a city of 1.9 million, the quake ruptured roads and knocked houses askew. A mudslide left several cars half buried. By late Thursday, stores were closed and the city's streets were deserted. The hope had been to get power back up within hours and some electricity was gradually being restored. However, damage to generators at the Tomato Atsuma plant meant that a full restoration of power could take more than a week, Seko said. "Only a few cartons of instant ramen were left," said Mika Takeda, who lives in the town of 10,000. The one local gas station was limiting customers to only 20 litres of gas, she said.